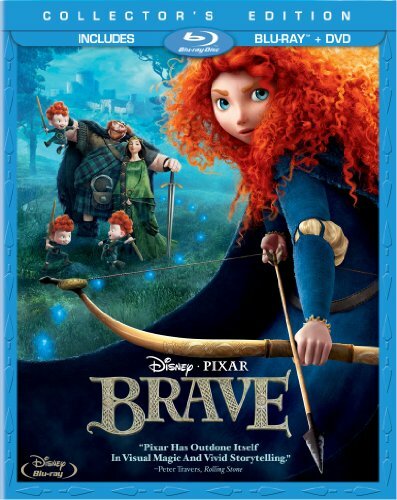 Celebrate the New Year with Disney’s Brave! There is nothing like a traditional Scottish Highlands Hogmanay New Year’s Celebration to celebrate the end of the year and bring in the new! 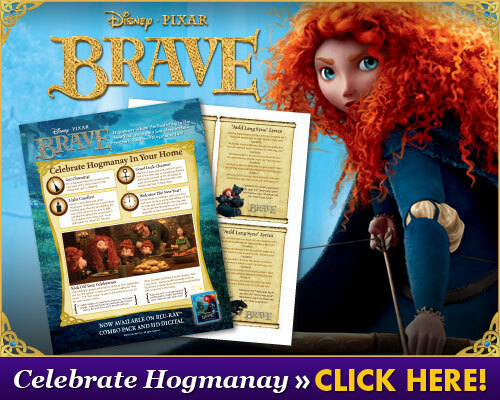 Celebrate this Scottish tradition with Disney’s Brave movie characters. Cleaning up around the house, hanging good luck charms in doorways and singing ‘Auld Lang Syne’ are just a few ways that Scots encourage good luck to come through their door on the last night of the year. The story of Princess Merida – the modern Princess who wants to be in charge of her own fate. Of course things don’t go quite as smoothly as they might for this rebellious teenager. The Pixar animation is as amazing as always, and the story is a good tale of how you must be very careful what you wish for! Tangled Blu-ray/DVD Combo + Beauty and the Beast Blu-ray/DVD Combo just $28.48 Shipped! Attention Lego Fans: 2009 Advent Calendars Have Arrived!